How Long Should You Study for Your Next IT Certification? Blog home / Roadmap to Success / Network Administration & Engineering / How Long Should You Study for Your Next IT Certification? Scheduling your exam is the most important step in preparing for any IT certification. Study plans with a solid end goal commit you to a date, which introduces good stress into the process. Yet, timing is the trickiest part of studying for an IT certification, particularly for entry-level exams. You don’t want to spend too much time studying for your IT certification. You also don’t want to hurry the learning process. There’s a lot to consider when planning to take an IT certification. So, how long should you study for your next IT certification? Unfortunately, here’s the answer: It depends. For instance, if you’ve been a sysadmin for five years, you might take a month to brush up on subnetting for CompTIA Network+ and then pass the exam. That same entry-level exam might consume a brand new IT pro for months. Similarly, that same sysadmin might spend four months studying for the MCSA, but walk into the CCNA after just eight weeks. To settle this question, we did highly scientific testing to determine how long it typically takes to prepare for the most popular IT certifications. 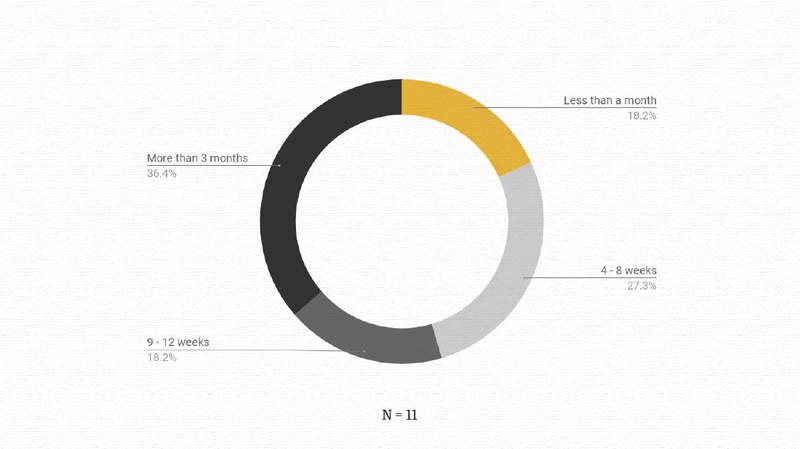 We polled our Facebook and Twitter audiences and asked how long it took them. Here’s how long some random people on the internet prepared for (and passed) five popular IT certifications. The ICND1 exam tests your knowledge and skills to successfully install, operate, and troubleshoot a small branch office network, including topics like the operation of IP data networks, LAN switching technologies, IPv6, IP routing technologies, IP services (DHCP, NAT, ACLs), network device security, and basic troubleshooting. Unlike Network+ and A+, the CCNA isn’t an exam that most aspiring IT pros use as a first step in their career. (It would certainly help, though.) It’s a launching pad to the next stage. CCENT is intended to validate all the knowledge entry-level IT pros acquired in their first couple of years of experience. So, even though CCENT (and CCNA) is billed as “entry-level” and doesn’t have prerequisites, it’s not an easy certification. The results: About 43 percent of IT pros spent longer than three months studying for ICND1. Notably, nearly as many IT pros completed their studies in less than two months. Why the difference in study time? There’s no surprise in the disparity in study time. ICND1 is a tough exam for two reasons. First, it covers a lot of material. Importantly, the CCNA tests your knowledge of the theory behind the tasks you perform day-to-day — and your ability to work in a Cisco production environment. Take for instance the OSI Model and TCP/IP fundamentals. Everything you do rests on these theoretical frameworks, but most IT pros start operating the machines first and then learn the theory. Second, ICND1 requires a lot of rote memorization, like ports, subnet masks, and UTP cabling standards. We agree. It’s annoying to learn, but that’s the exam. Jeremy Cioara has a CCENT 101-105 course with 78 videos, practice exams, and in-video quiz questions. Pick an exam date and commit to studying a little bit every day, allowing for breaks. You want enough time to work through tough topics and not get stressed. You can get through Jeremy’s entire course in about 12 weeks by studying 30 minutes per day. If you do, then you’ll be right at the top of the bell curve for how long it takes to study for the ICND1. Next step, start studying for ICND2. The second exam for the CCNA R&S is the ICND2, which tests your knowledge and skills to successfully install, operate, and troubleshoot a small to medium-size enterprise branch network. Topics covered include LAN switching technologies, IP routing technologies, IP services (FHRP, Syslog, SNMP v2 and v3), troubleshooting, and WAN technologies. The results: Of the 68 people who responded, 53 percent spent less than three months studying for the ICND2, and 47 percent spent more time. That’s a close split. Interestingly, ICND2 preparation time is spread out further than ICND1. On average, test takers spent less time studying for the ICND2 than the ICND1. With 44 percent of respondents spending less than two months studying for the ICND2, it’s our guess that quite a few experienced IT professionals responded to our polls. Here’s why we think that. While ICND1 covers the basics, ICND2 gets heavily into switching and troubleshooting, which means it’s validating learned, hands-on experience. If you’re in your first couple years as an IT professional, you simply haven’t been dealt enough port handling errors to troubleshoot the DHCP. There’s a big difference between learning to troubleshoot from a book, and living in the trenches for the better part of a decade. Conventional knowledge states that ICND2 is more difficult the less experience you have. From this notion, we can deduce the experience level of the test taker in the poll results. Depending on when during your career you take the exam, the ICND2 is more or less difficult. Most IT pros take the exams separately due to the overwhelming amount of information in the test series, usually in order — ICND1 before ICND2. Cisco doesn’t require any particular order, and they even have a combined 200-125 CCNA exam to take both exams at once. In general, however, it’s much easier to study for and pass the two exams separately. Studying for ICND2 is much like studying for any other certification with one exception — the home lab. ICND2 goes heavily into the Cisco command line. Hands-on practice is critical for the ICND2. Build enough time into your study plan to build and then practice with a home lab. Jeremy Cioara’s ICND2 200-105 course has 71 videos, practice exams, in-video quiz questions, and detailed instructions on how to build a home lab. The CompTIA A+ is an entry-level certification that’s split into two exams. You need to take and pass both to become A+ certified. The first exam covers hardware. The second exam covers software, mainly operating systems. Typically, learners pursuing this certification should have six to 12 months of experience working in the field or in a help desk environment. Our recommendation: It depends. For beginners, CBT Nuggets accountability coaches still recommend 10 to 12 weeks. For experienced IT pros, you might need less time. The results: It takes longer to study for the A+ series than you think. More than half of test takers spent longer than two months studying for each of the two A+ exams. From this small sample size, we also found that the first exam, 220-901, takes longer to study for than the second. A quick side note: We didn’t get as many people to share their experience with the individual A+ exams as the over-under split (i.e. – less than 2 months or more than 2 months). None of the exams on this list have exam prerequisites, but A+ is truly an entry-level exam. It’s often the first exam most people encounter and considered a “foot in the door” certification. If you’re trying to find your first IT job, the A+ will help you get it. Or, more accurately, it’ll give you a better chance against other individuals without certifications. As with most IT certification exams, it all depends on when in your career you take the exam. Without IT or technical experience, you’ll spend more time learning the exam material. As an experienced professional, you’ll probably breeze right through the exam. You can see a split in experience in the poll results. We’re probably looking at half new IT pros taking the A+ for the first time and experienced IT professionals taking the exam. Why take the A+ as an experienced IT pro? There are lots of reasons. Formerly a lifetime exam, CompTIA A+ now expires — a major point of contention. CompTIA keeps close tabs on current and upcoming technology trends and changes their exam material accordingly. Some people take every exam version that comes out just to sharpen their skills. In other cases, test takers might have needed to pass the exam to advance in their career, even with experience. That’s particularly true of government employees and federal contractors. DoD Directive 8140 dictates the structure of “training, certification, and management” of everyone in an Information Assurance (IA) job role. There are three levels of required certifications, and they all start with the CompTIA A+. CompTIA broke these exams into two sections for a reason. It’s a ton of information. The first exam covers hardware and networking basics. The second exam covers operating system administration. Unlike CCNA, there’s no recommended or conventional order to take the A+ series courses. Tackle whichever course you want to pass first. When creating your 10- to 12-week study plan for A+, make use of the Kaplan IT Training Practice Exams included with your CBT Nuggets subscription. If A+ is your first IT certification exam, then it’s valuable to not only understand the subject matter, but also the testing format. Practice exams closely mirror the real-world testing experience. Don’t worry about taking timed exams, at first. Instead, take a practice exam early in the first couple weeks. An early practice exam will help guide the rest of your study time. For instance, you complete your first practice exam and find that you know hardware components really well, but networking gives you trouble. You can skip or skim the hardware training to spend more time on networking. Use the results to find out what you know well — and not so well. Anthony Sequeira has courses for CompTIA A+ 220-901 and 220-902 with 94 videos, practice exams, in-video quiz questions, hands-on lab practice, and flashcards. You can follow along with Anthony and a 10-week study plan to prepare for the A+ series. The second exam in the CompTIA trio is Network+. Typically, learners pursuing this certification should have 12 months of experience working in IT, particularly with networking. The CompTIA Network+ certification is made up of one exam, but don’t let that fool you. It’s a 90-minute exam that covers nearly as much networking material as ICND1. The results: When in doubt, build more time into your study plan from the beginning. 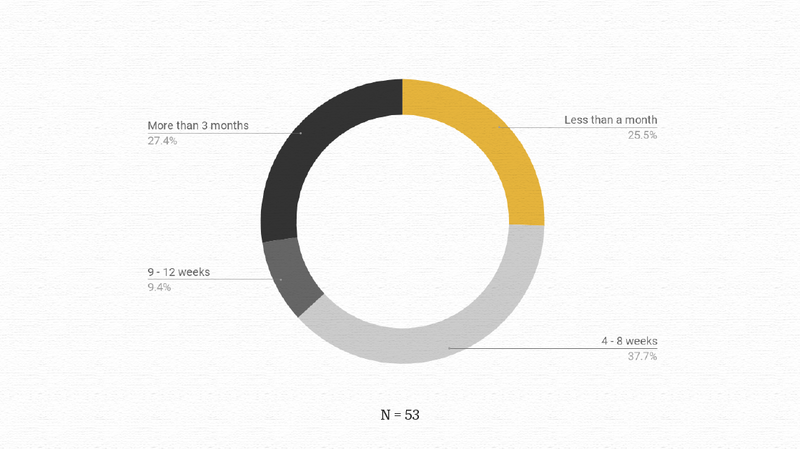 About a third of test takers took more than three months to study for the Network+ exam. Another third said they spent less than a month. CBT Nuggets Accountability Coaches typically tell learners that three months should be enough time to study for nearly any exam. If you don’t take long enough, then you’re likely not thoroughly studying — or, even worse, cramming. If you’re taking too long, then maybe you’re prepared and just don’t know it. After working with hundreds of test takers, they’ve found that 12 weeks or three months is the sweet spot for studying 30 minutes per day. With that said, Network+ is another entry-level certification. Again, the distinction between entry-level certifications and entry-level jobs is important. IT professionals pursuing this certification should have 12 months of experience working in IT. But many people take Network+ to start their IT career, which means they don’t have any experience. It’s our guess that anyone who studied for less than a month was an experienced IT professional. To an individual completely uninitiated in networking technologies, then three months (or longer) is respectable — and perhaps even necessary. As CBT Nuggets Accountability Coaches will tell you, don’t study too long. You’re probably better prepared after three months of studying than you think. Network+ is all about the fundamentals of networking, like the OSI Model, TCP/IP, subnetting, ports, wireless, and TCP cabling standards. To illustrate the amount of information in this exam, four trainers produced our Network+ N10-007 training — Keith Barker, Jeremy Cioara, Chuck Keith, and Anthony Sequeira. With 21 hours of training in 224 videos, practice exams, in-video quiz questions, and hands-on practice, it’s a massive course. Don’t fret, though. Make a plan that gives you enough time to fully learn the material. Learn one thing per day and move to the next thing. Don’t cram. Expect to see the minutiae on the exam as well, like ports, cable transmission distances, and network security attacks. With Network+, the devil is in the details — and there are a lot of details. Typically, learners pursuing this certification path should have some familiarity with Windows Server and experience working in an enterprise environment. The results: With the Cisco and CompTIA exams, the majority of respondents were at the edges. MCSA test takers, however, are more clustered. With a delineator at two months, we found that 63 percent of test takers spent less than two months studying for Exam 70-410. 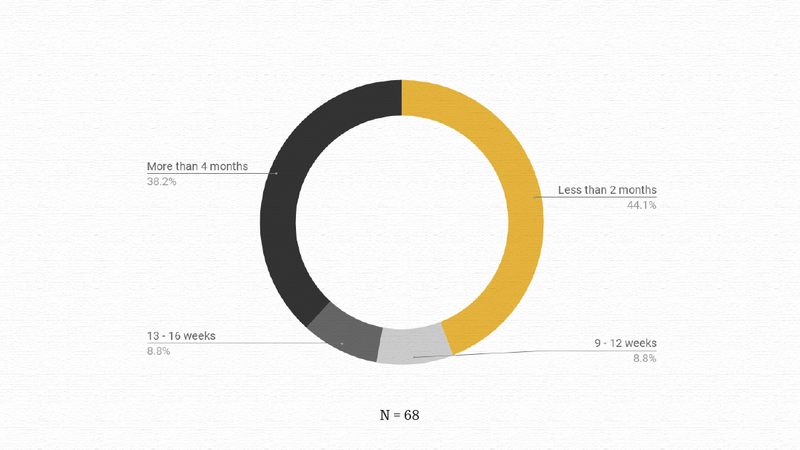 Most people spent more than a month, but less than two months studying. Despite a plurality at the four to eight-week mark, there are still nearly a third of test takers who chalked up more than three months studying for the exam. Anecdotally, you’ve probably heard that MCSA is either a breeze or a long, painful process. Perhaps, we’re seeing the effects of self-selection with the exam. Let us explain. MCSA is an intermediate-level certification, which means if you’re going for it, then you’re already working in a Microsoft environment. If that’s the case, you’re better positioned to study less and still achieve a passing grade. Otherwise, you’re learning Microsoft in a lab environment rather than through real-world application. Microsoft is testing your knowledge about its product. That either makes it easy or difficult, and it comes back to your experience level. There’s one caveat about the self-selection thing. MCSA doesn’t have any prerequisites, so anyone off the street could technically take these exams. Microsoft exams are notoriously tricky. They’ve been described as impenetrable walls of text with a single “gotcha” line, changing the meaning of a question. It’s commonly recommended that you study the material and the test separately. In sum, with the MCSA, you have to master the Microsoft exam format, as well as the material. Microsoft has really started pumping PowerShell questions into their exams. If you’re not comfortable with PowerShell, you should go through our PowerShell 4 Foundations course. Garth Schulte has a course for Windows Server 2012 70-410 with R2 Updates with 93 videos, practice exams, in-video quiz questions, and Server 2012 virtual labs. You can follow along with Garth and a 10-week study plan to prepare for the MCSA 70-410 series and then move to the next exams. 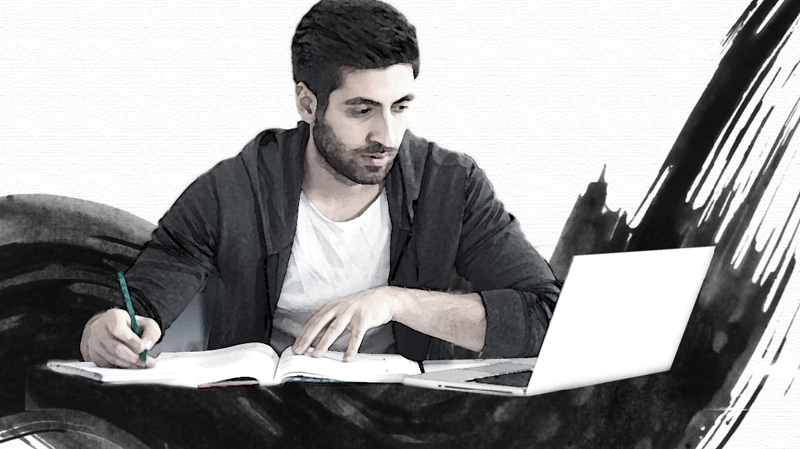 Studying for an IT certification exam is a highly personalized process that comes down to a binary outcome — pass or fail. When you pass, it doesn’t matter whether you took a week or six months studying. Similarly, it doesn’t matter if it was your first time or fifth time taking the exam. Either you have your certification or you do not. To help you achieve your goals, CBT Nuggets provides accountability coaching to every learner and team. Accountability coaches work with teams and individuals to realistically plan training goals. They develop structured learning paths, provide study tips, and keep you on track to pass your exams. How Much Does It Cost to Earn the CCIE?